Get my first four webinars at one discounted bundle price! Normally $14 each, get all four of my original online workshops for just $29. How to talk about art with kids – Learn to facilitate meaningful discussions that foster personal connections, stimulate critical thinking, and develop meaning. 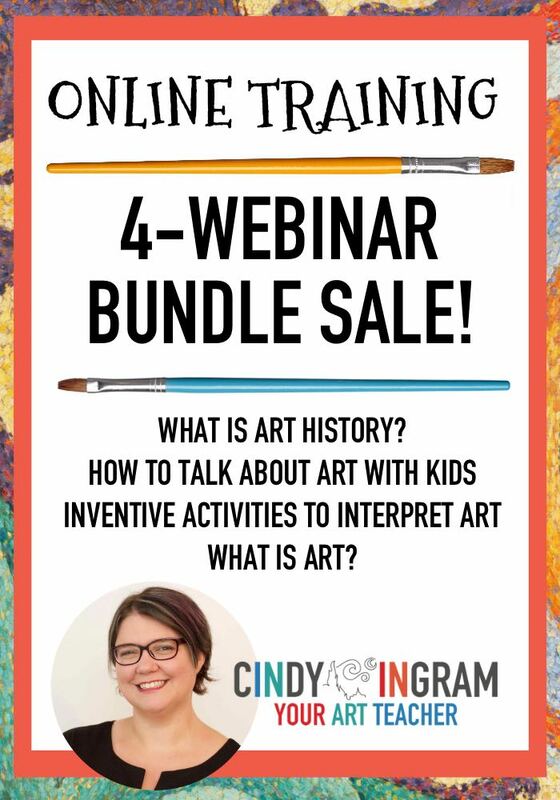 Inventive activities to interpret art – Learn how to get kids moving, writing, thinking, and experiencing art in fun and inventive ways with this online training. What is art? 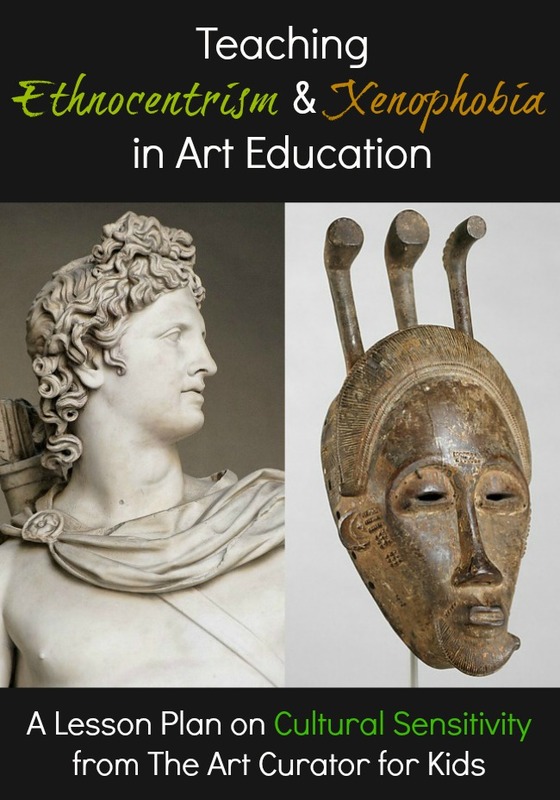 – Learn how to unpack and explore the ultimate aesthetics question with your students–what is art and why does it matter? This purchase does not include the bonus freebie downloads included if you buy the online training a la carte, but it does include the certificates of participation! Add the webinar tickets to your shopping cart by clicking Add to Cart below, indicate the number of tickets you would like to purchase, then checkout and pay for your ticket(s). You will get an e-mail that contains the link to watch the webinars. After a successful transaction, you will be able to access your certificate and webinars immediately. You will also receive a receipt via email for your purchase. Need more than one certificate for groups? No problem, just purchase the number of tickets you need, then print multiple copies of the certificate. One more thing before you buy. Are you a member of the Resource Library? Don’t buy! Log-in to your member dashboard and click Webinars to get the session for free! Not a member? Learn more. Join my e-mail list and receive Your Weekly Art Break for art inspiration, teaching tips, and more. Bonus! Get 6 free art worksheets as a thank you!